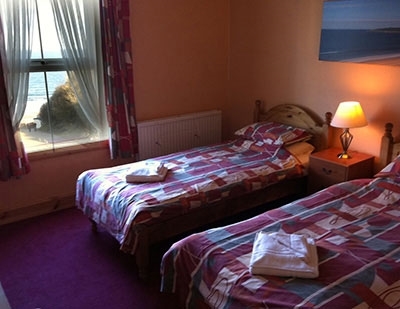 St. Vedas Beach Front Hotel is a family run business offering comfortable spacious accommodation overlooking the beautiful Coldingham Bay in the Scottish Borders. With its comfortably spacious, fully central-heated guest rooms. 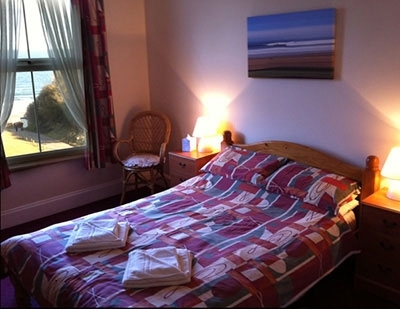 All rooms have Tea & Coffee making facilities, TV, WiFi Internet, and extra towels and linens. Many rooms have stunning sea views. Whether you are looking for a relaxing break or looking for a more active time there are many places and activities in the area, the location is popular with family holidays, walkers, divers, surfers, bird watchers, golfers and fishing enthusiasts. Breakfast is freshly cooked to order and served in our restaurant with sea views looking over Coldingham Bay. Your choice of a full traditional Scottish cooked breakfast as well as a selection of cereals, tea, fresh coffee and fruit juice is included in your stay.